"If anything about current interaction design can be called 'glamorous,' it's creating Web applications. After all, when was the last time you heard someone rave about the interaction design of a product that wasn't on the Web? (Okay, besides the iPod.) All the cool, innovative new projects are online. Despite this, Web interaction designers can't help but feel a little envious of our colleagues who create desktop software. Desktop applications have a richness and responsiveness that has seemed out of reach on the Web. 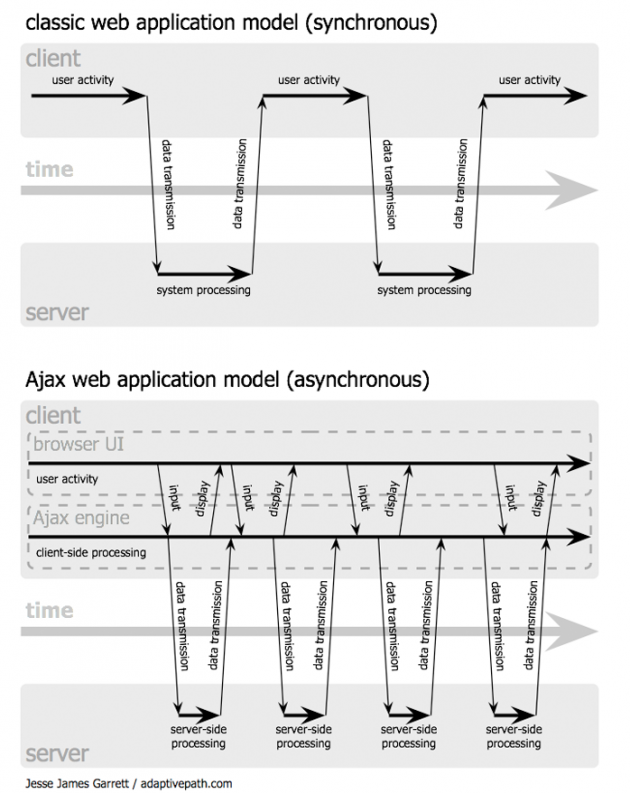 The same simplicity that enabled the Web's rapid proliferation also creates a gap between the experiences we can provide and the experiences users can get from a desktop application. "We built SuperPreview to simplify the process of testing and debugging layout issues across different web browsers and platforms. 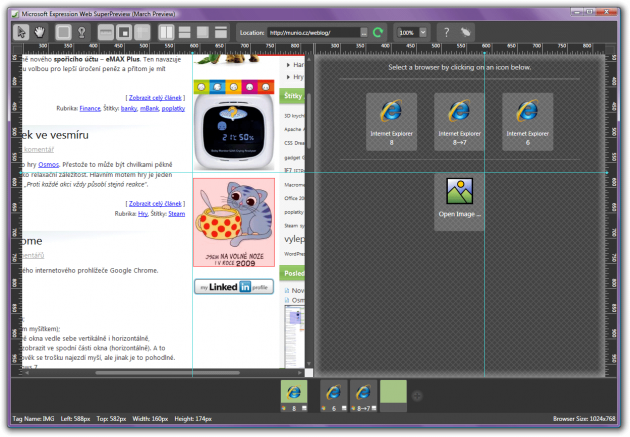 You can view your pages in multiple browsers simultaneously or view how a page renders in a browser and compare it to a comp or mock–up image of a page. SuperPreview will be included as part of a future version of Expression Web. The final feature set and its availability have not been announced. The SuperPreview demo shown at the MIX09 conference was a technology preview and not a product announcement. However, because we'd like to get feedback on this technology and on its implementation, we have announced a beta version of SuperPreview for Internet Explorer. This free download will allow you to compare renderings of IE6 with whatever other version of IE you have installed on your machine. If you have installed IE8, you'll be able to compare IE6, IE8 and IE8 running in IE7 compatibility mode, side–by–side. The final 'shipping' version of SuperPreview for Internet Explorer will continue to be available for free. The Expression Web team hopes that it will be useful in helping to make the process of developing web pages for IE (and in general), faster and easier." 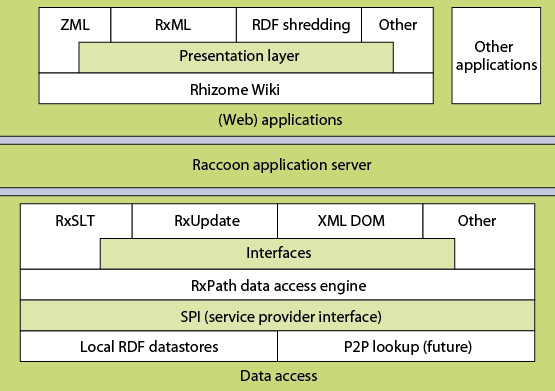 "Rhizome is a Wiki–like content management and delivery system that exposes the entire site –– content, structure, and metadata as editable RDF. This means that instead of just creating a site with URLs that correspond to a page of HTML, with Rhizome you can create URLs that represent just about anything, such as: structural components of content (such as a bullet point or a definition); abstract entities that can be presented in different ways depending on the context; relationships between entities or content, such as annotations or categories. Rhizome is designed to enable non–technical users to create these representations in an easy, ad–hoc manner. To this end, it includes a text formatting language which similar to a Wiki's but lets you author arbitrary XML content and RDF metadata. And for developers, this allows both content and structure to be easily repurposed and complex web applications rapidly developed."